Spider veins are blue, red, purple or dark feathery-looking vascular irregularities that usually occur on the thighs, legs and around the knees. There are several techniques to remove these unsightly lesions. Dr. Adler may recommend laser vein removal or hypertonic saline injections. 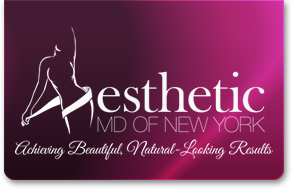 Dr. Adler uses the latest laser technology to remove spider veins on the legs and face which can be the result of sun exposure, use of oral contraception, hormone therapy, age or genetics. As the cosmetic laser emits a prescribed dose of energy to the vein, the laser “selectively” targets the problem veins while sparing surrounding areas. After treatment, the vessels will naturally disappear. Typically only one or two laser treatments are required and results can be seen in three-to-four weeks. Treatment time usually varies between 10 and 20 minutes, depending on the size of the area treated. The laser treatment causes only minimal discomfort. Any redness or swelling should disappear within a day and patients can resume normal activities immediately. In certain cases, Dr. Adler may recommend Hypertonic Saline Injections. The procedure involves the injection of a sclerosant such as hypertonic saline (concentrated salt water). The sclerosant is injected through a very fine needle into the spider vein. This causes the vein walls to collapse and eventually be reabsorbed by the body. However, this treatment (as well as laser treatment for that matter) does not prevent future spider veins from appearing. Multiple treatments are sometimes necessary for more extensive clusters of spider veins. Small, linear spider veins usually disappear after one treatment.